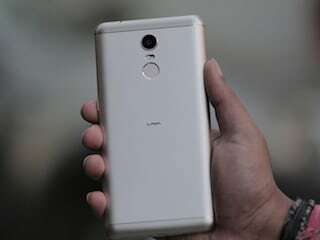 Lava on Wednesday launched a pair of new mid-range smartphones that boast of premium metal design and durability. The Lava Z10 and Z25 smartphones support 4G VoLTE connectivity and are priced at Rs. 11,500 and Rs. 18,000, respectively. The smartphones will be available in select retails stores in Delhi from Thursday and in a few more cities in the coming weeks. The Z10 will be offered in Gold while the Z25 will come in Champagne Gold and Grey colour options. The Lava Z10 sports a 5-inch HD (720×1280 pixels) IPS display with a 2.5D curved glass on top. The smartphone is powered by an octa-core processor coupled with 2GB of RAM. The handset runs on Star OS 3.3 based on Android 6.0 Marshmallow and is offered with 16GB of inbuilt storage, which is expandable via microSD card (up to 128GB). On the camera front, the Lava Z10 is equipped with an 8-megapixel rear camera with f/2.0 with LED flash and a 5-megapixel front-facing camera with Spotlight flash. The rear camera also supports Bokeh mode and Night Pro mode. The dual-SIM smartphone houses a 2620mAh battery with ‘Power Saver mode’ and ‘Super Power Saver mode’. Meanwhile, the Lava Z25 sports a 5.5-inch HD (720×1280 pixels) IPS display with a 2.5D curved glass on top. The smartphone is powered by an unspecified octa-core processor with 4GB of RAM. The handset is offered with 32GB of inbuilt storage, which is expandable via microSD (up to 128GB). Like the Z10, the Z25 runs on Star OS 3.3 based on Android 6.0 Marshmallow. The Lava Z25 packs a 13-megapixel rear camera with Sony Exmor RS and f/2.0 while the front holds an 8-megapixel with Spotlight flash for better low-light images. The dual-SIM smartphone houses a 3020mAh battery with ‘Power Saver mode’ and ‘Super Power Saver mode’ that will help extend battery backup time. Additionally, the fingerprint sensor embedded in the Home button will unlock the the phone in 0.16 seconds. Both the smartphones also come equipped with the latest multilingual keyboard that supports eleven regional Indian languages. They also support Smart Gestures, OTG and 3 Point Touch. “Lava Z series is a result of our continued innovation and focus on in-house research and development over the last 7 years. Over these years, we have developed a team of over 700 product development and design engineers in India and China collectively – the Z series is an output of our collective focus, as an organization, on in-house R&D. Lava Z25 and Z10 are packed with premium features of Camera, Fingerprint, Design and Durability that go well beyond the conventional boundaries in this price segment. Further, Z series is a premium product category for us which is born out of our end-to-end control on entire product value chain – from design to manufacturing,” said Gaurav Nigam, Product Head, Lava International said.